NOT JUST MORE CLIENTS. THE RIGHT CLIENTS. With a clear value proposition, messages that speak to the deepest needs of your ideal clients and marketing materials that differentiate you from the competition — how much could your business grow? 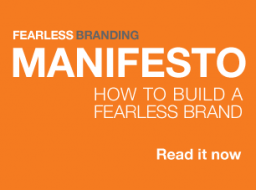 Fearless Branding will build a strong marketing and sales foundation for your business. You’ll attract your ideal clients – and closing the right business will get easier. The services outlined below work together to give you the tools you need to grow your business. Do you need help defining, building or strengthening your brand?